One of our newest locations, Washington Energy Services, recently posted some great tips on greening your Holiday season. Love the local focus here, nothing like supporting your community and also enjoying the season while you do it! Please read on here, and if you are in the area, reach out to a part of the Green Team, you will be glad you did. 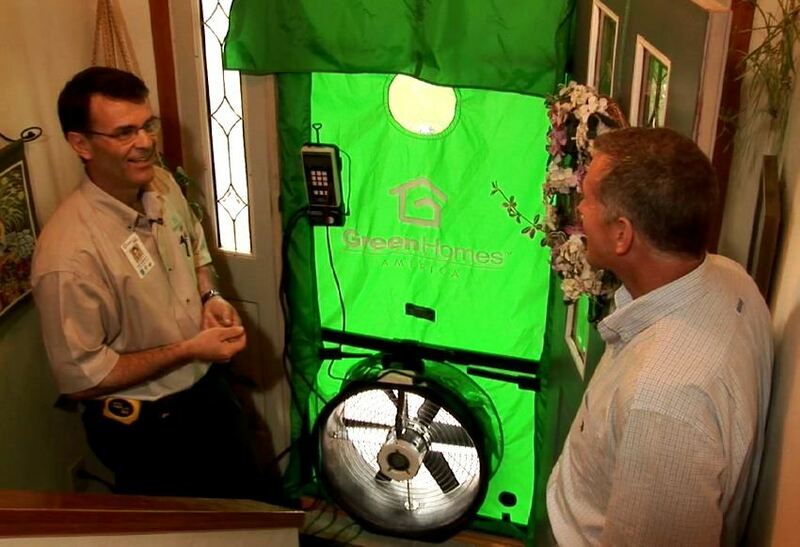 Recently Fox News had an interesting piece on energy audits. It asks an excellent question; are they worth the cost? As homeowners we can identify some issues in our homes, but it often takes and expert to pull it all together, and catch some of the bigger issues affecting our utility bills. The article points out that not all auditors are created equal. 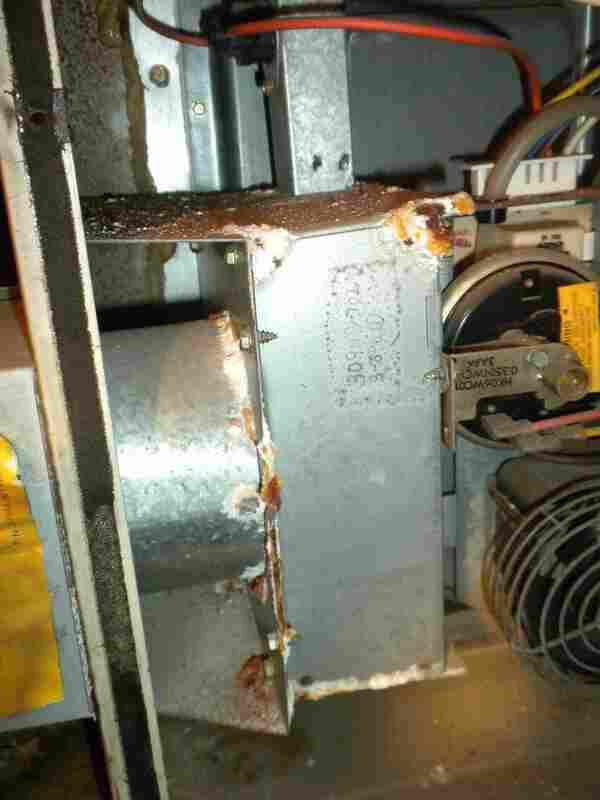 It mentions that blower door tests, Infrared imaging, as well as duct testing, are important for and auditor to perform. And we agree. In fact, we spend numerous hours training individuals to use the equipment, as well as getting them certified with the Building Performance Institute (BPI). BPI’s focus is not on just energy efficiency, but also health and safety, and that in my mind is more important that just saving money. It is important that our advisors have ongoing training and support, because homes—and the building science behind them—are complicated. If I relate this to the medical profession, would you want an intern performing surgery while figuring it out on their own? Or, would you rather have an experienced doctor teaching the intern? One thing not pointed out in the article is that saving energy is only part of it. Don’t forget comfort, the reason we heat and cool our homes in the first place. 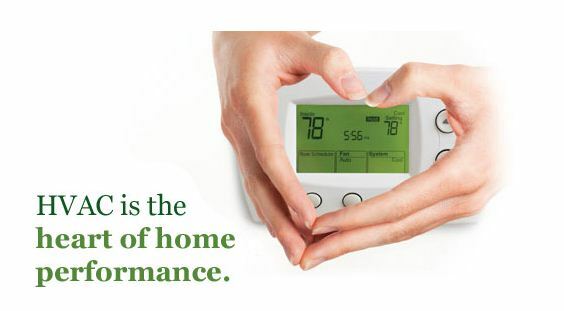 Acting on the recommendations in an energy audit can make our homes a more comfortable place. Is it worth the cost? If you take action, absolutely! An audit isn’t worth anything if you don’t fix the problems, which is why it is so important to identify them—and provide cost-conscious improvements—making your home more energy efficient, healthy and comfortable. You can learn more in our learning center. It’s that time of year again, and although we have written about Energy Efficiency tax credits for 2011 before, if you had work done this past year, it might be time to review. You can also go to our learning center for solutions to common problems we fix in homes just like yours, as well as links to our franchise locations; they can provide details about incentives available in their area. Many of the federal tax credits ended in 2011, but not all of them. What will continue for 2012, are credits for some renewable energy systems. 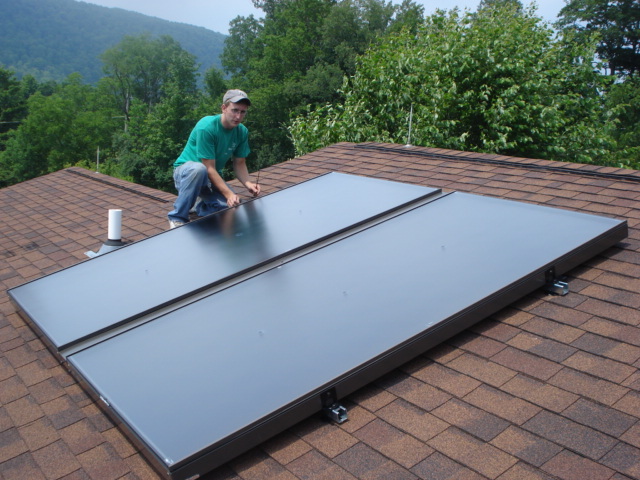 Solar water heating and photovoltaic systems, small wind systems, and geothermal heat pumps, are all eligible measures through 2016. If you are thinking of alternatives, consider our interactive online home to get a better sense of whether or not these types of improvements are really what you need this year. Alternative energy systems can be expensive, and it often makes the most sense to install them in homes that are very efficient from the start. You might be surprised by what some simple measures can save you money. Tax credit or not, insulation, air sealing and efficient heating and hot water systems can pay for themselves in short order. Simple measures that cost less and save you more! Keep your eye on the ball…at home! Baseball fans, great technology comes to the World Series. In fact it’s the same technology we bring to your home. The AP recently reported That a number of Infrared cameras will be trained on batters in the upcoming World Series games. The cameras will be used to pick up the heat generated from friction, say when a fast ball skims off a bat or a glove. The Fox network is trying them out this year so they won’t be used in making calls, but they could be. Hey at least maybe we will get a glimpse of this great technology just watching the games. 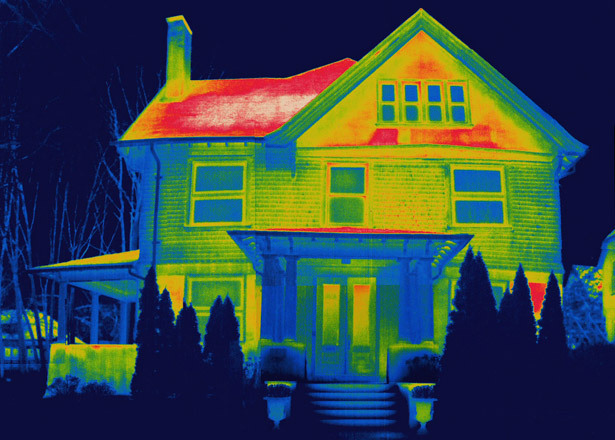 At your home base, we don’t need to see the heat patterns of a knuckle ball off a bat to cry foul, but the cameras our advisors bring along in assessing your home do help you avoid the curve balls of missing insulation, moisture problems, dangerous wiring, and un-controlled airflow. Rest assured with the right technology and skills, troubleshooting your comfort problems with GreenHomes America will help you knock it out of the park! Out of sight, out of mind? Lurking in the depths below, the whole house approach still applies! The moon’s surface or a part of the home? Most of us ignore the spaces under our homes. What is under there anyway? For some houses there can be some important stuff such as the heating system or, for every one I’ve been in, the stuff that holds the house up and it’s usually wood, aka “Mold Food”. Yeah it’s kind of important. Henry Ford once said “quality means doing it right when no one is looking”. And for some space in our home this is often a neglected concept. More likely heard would be “no one is going to see this after I’m done.” Too often when called in to someone’s home we see things that just weren’t done right the first time. Duct work is left pinched, restricting flow. Sometimes it’s left unsealed and un-insulated. Floor insulation is hastily installed leaving it to droop or fall out. Un-addressed moisture coming in from the walls or rising up from the ground below attacks metal and wood. As Mike has mentioned in a previous post, sometimes we know its damp down there because we smell it. 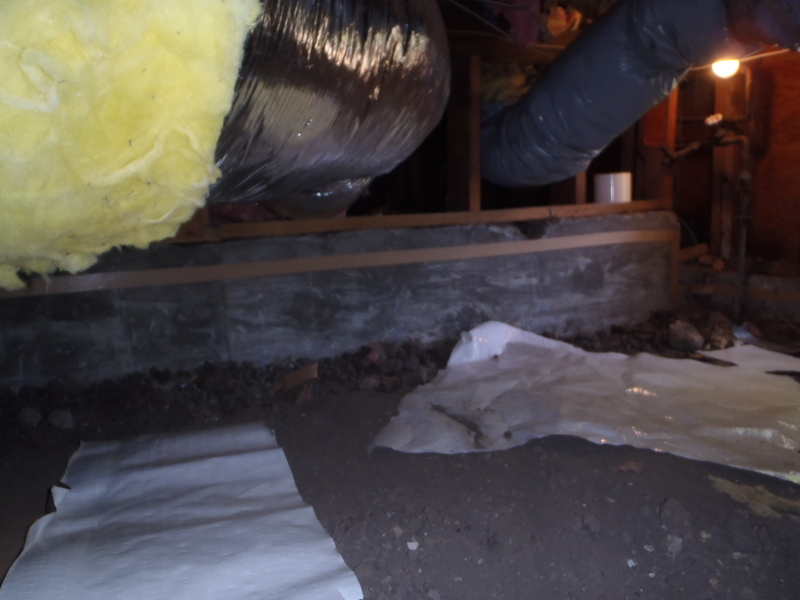 Heating and cooling systems are left to suffer and struggle sent to an early and shallow grave we affectionately call the crawlspace. 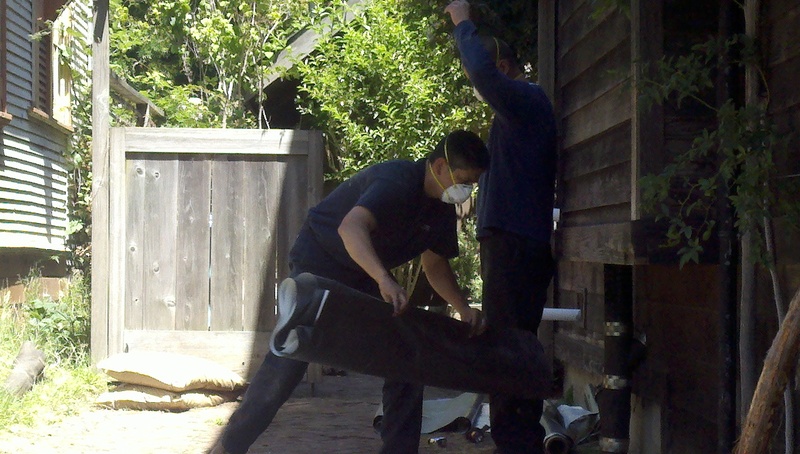 In one Berkley, California that started with many of this issue, GreenHomes America partner, ABC Cooling, recently worked its magic. The heating system in the crawlspace had a long horizontal run which struggling to draft well, ended up rotting away. The big concern here is that when the venting fails, the flue gasses are left ready to be drawn into the home; exactly where we don’t want them. This is a typical problem in the Bay area or for that matter anywhere with this kind of configuration. The big fix here was a super efficient sealed combustion unit. These units are quite affordable, and the savings from the greater efficiency help to pay for them over time. 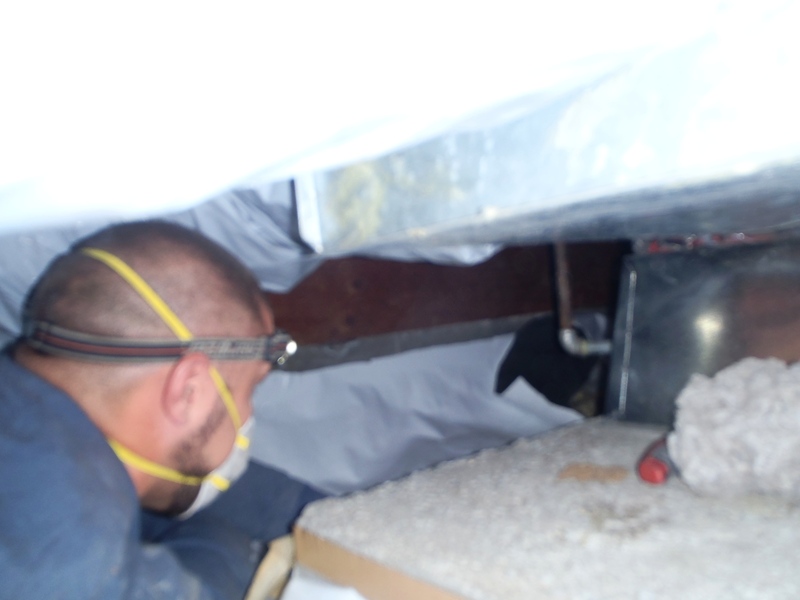 Certainly indoor air quality can be an issue with an unsealed crawlspace. 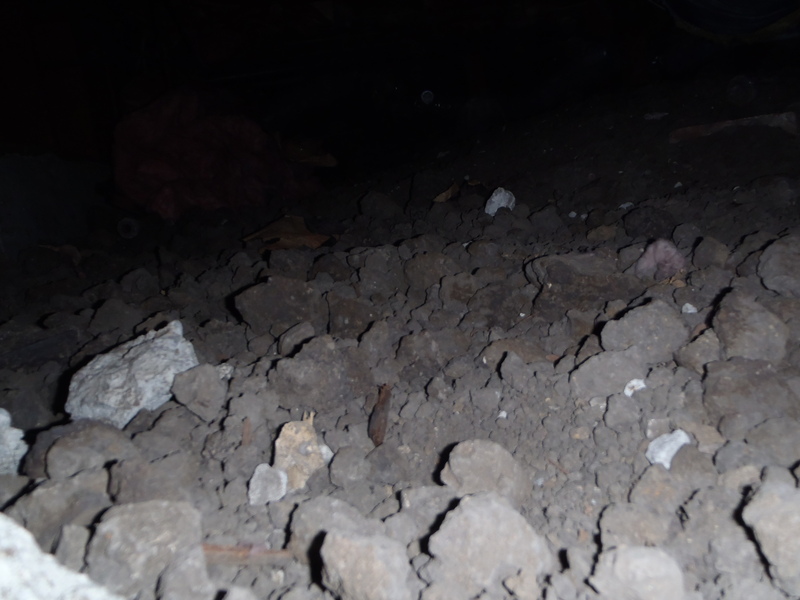 Soil gasses, contaminated outside air (vented crawlspace in congested traffic area), moisture issues, animal feces, or even animals can raise IAQ concerns. 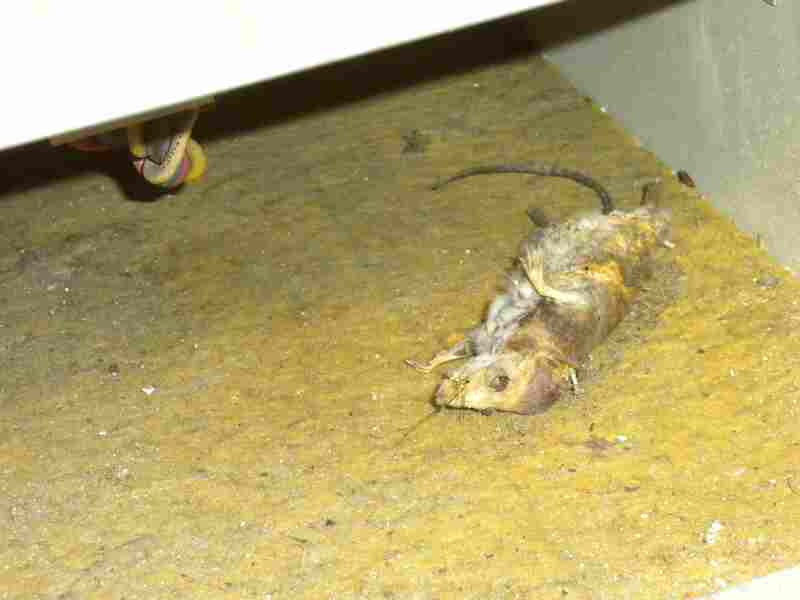 Dead rats in your furnace return? Generally considered a problem! Chris and Kristen, the owners of this charming Berkeley home, have over the years created a wonderful space to raise a family in. 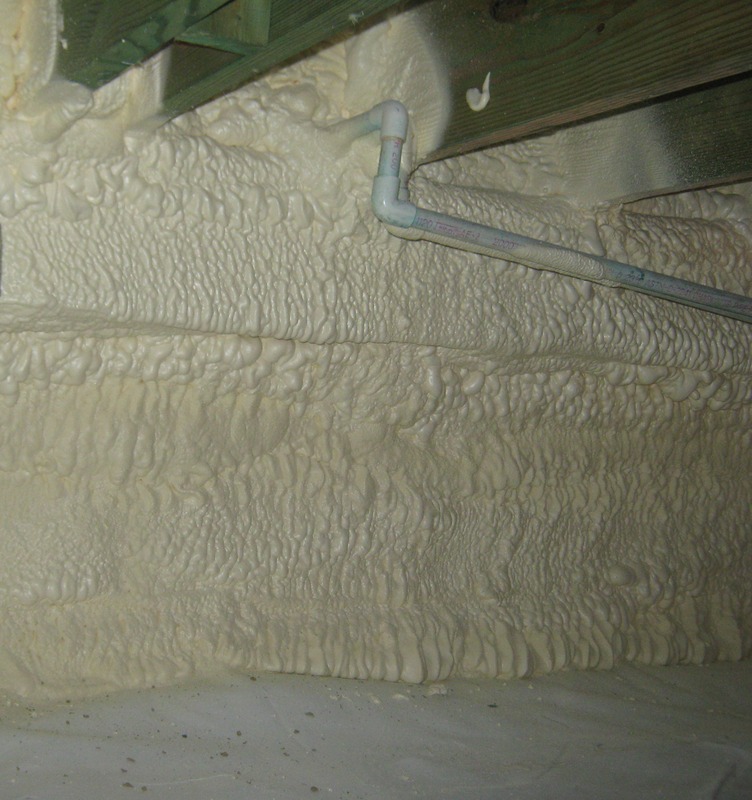 Years ago, insulation was added to the home, but still things weren’t quite right. Part of their discomfort was a poor distribution system for heat. The new heating and hot water system improvements in the home now not only make it more comfortable but also safer. Start with a home assessment, find out what you really need, and do the job right. It’s as simple as that. Well, OK, some of you might have to get rid of the rat, first. 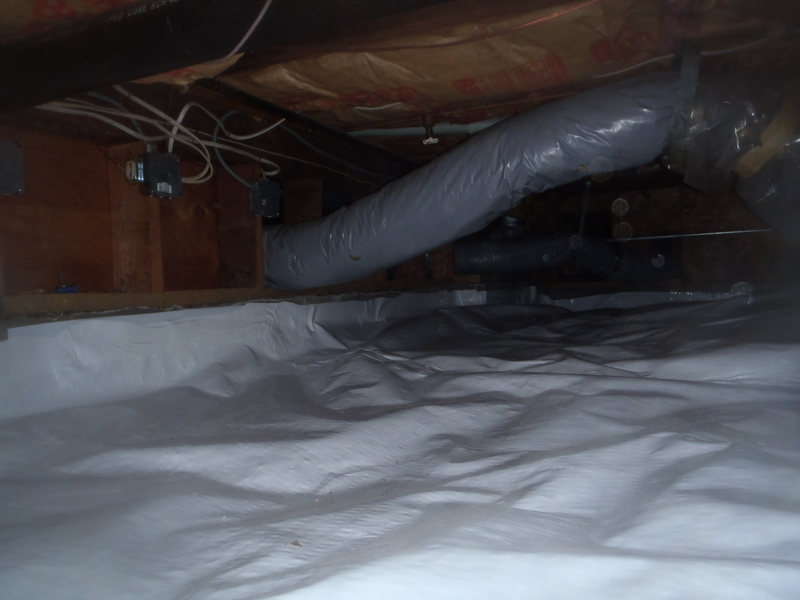 “Before” photo credits (including that rat in the ductwork! ), to David Hales, Building Systems and Energy Specialist, WSU Extension Energy Program. The folks at Replacement Windows for Dummies (.com) recently asked me a few questions about replacement windows–check out the article. As those of you who’ve spoken with our Advisors or seen the replacement window video know, we like windows. New windows can increase comfort, reduce drafts, reduce UV fading, and more. They are NOT a miracule energy-saver, though. If it’s energy savings you’re after, don’t get sucked into the hype. Get a good home energy assessment and find out what you really need. More than 10,000 reasons why I love my job! It’s Monday morning, and I get to glance at some of the feedback from our customers—and we have a lot of them! It’s heartwarming. We put in long hours here trying to live up to our ideals, and it’s nice to see that it pays off. Indeed, it’s why it’s worth it. And seeing the results and the happy customers is a great way to start my week. From San Diego, Charles H. recently said that his house sounds much more sound proof, it doesn’t sound hollow inside anymore with his hardwood floors, he also said that in the recent heat wave his air conditioner only came on a few times. He listened to his neighbor’s air conditioner cycle on and off all night. Bob C. said that his house has been maintaining a nice temperature of about 72 – 74 degrees without running either the heater or the air conditioner, everything that we promised that home performance would do for him happened. Across the country in Syracuse, Ben B., whose project we just finished said, “ The crews never left a scrap, or screw, or piece of cardboard “ and “The crews were always professional, and cared about what they were doing “. Thanks to our customers for giving us the opportunity. And thanks to all the GreenHomes employees and partners for delivering! What if home improvement paid you back? Each year, Remodeling Magazine and Realtor Magazine team up to produce the Cost vs. Value report. The study looks at remodeling costs and resale value for more than 30 common home improvement projects. But the report is missing one thing. What about payback? Many of the projects could be tweaked just a little to include some energy efficiency improvements at the same time. It’s a super-smart time to add these steps while drywall is already off and walls are already open – you cut the dust and prices later over doing these same improvements as stand alone projects. These upgraded projects would potentially add not just value, but offer savings through reduced energy costs. Check out this payback case study from Chicago. The example shows how a few extra project steps could really save money through energy savings. Let the examples inspire your own home remodeling projects!